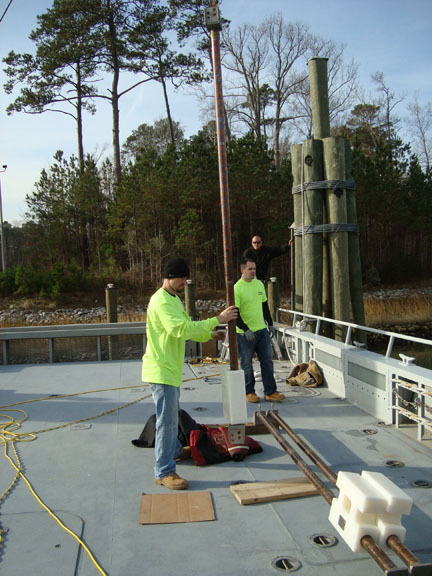 TideSlide Mooring Systems come in a wide variety of sizes and shapes to accommodate any tidal mooring application. This page is designed to help you determine the size and pricing of the TideSlide that is right for you. TideSlides, unlike any other system, does not have a page of "don't do this" or "can't be used in this way" TideSlides work in any tie up so you don't have to worry. TideSlides accommodate so many different layouts we can't show them all. 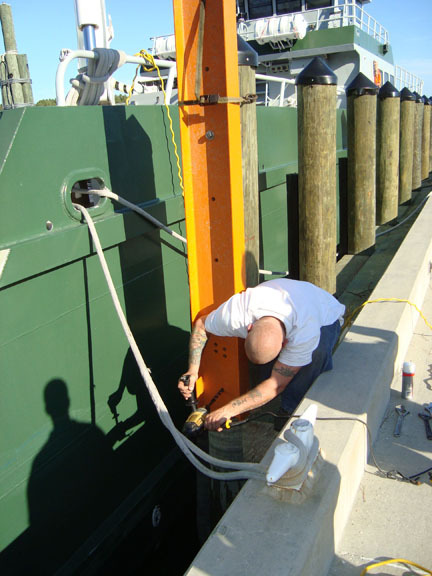 Many users have eliminated bow or stern lines by tying bow and mid-ship or stern and mid-ship. The options are endless. Keep in mind, NO MORE SLACK LINES, means more secure and consistent tying. Please keep in mind that we are here to assist you with any questions you might have and that TideSlide Products are completely customizable. If you have a unique dock layout or need a special size, let us know. Pricing is in US Dollars and is subject to change without notice. Shipping and handling is not included and is an extra charge. Some units, especially the heavier rated units, must be truck shipped.